Hewitt Jewellery Equipment Ltd and Robotech Developments Ltd (Hewitt-Robotech JV) are very pleased to announce that the new ORTAK Jewellery company, based in the Orkney Isles, have placed a large order of equipment with them, consisting of Neutec (JzP) and Robotech casting machinery, Avalon mass finishing machinery and a Neutec Studio laser welder to equip their new jewellery production plant in the Orkneys. 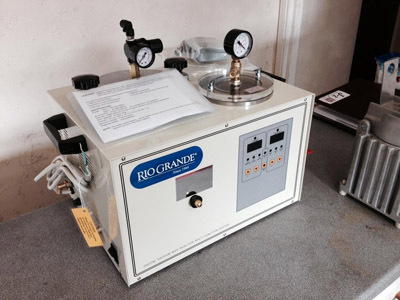 The equipment will be installed in January 2015. 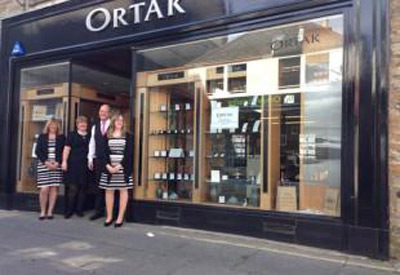 Mike Gardens, who used to work for the old Ortak business, formed the new Ortak Jewellery company and opened their shop in August 2014. The new company has enjoyed great success since that time. 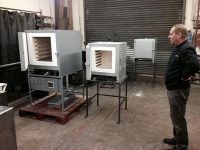 Their plans to re-start production were made during the same period, and they chose the Hewitt-Robotech JV range of jewellery making machinery to equip their new facility. Their range of equipment consists of high quality casting, finishing and laser welding equipment, some of which is made in Stoke-on-Trent by Robotech Developments Ltd. All equipment comes with a high level of after sales support. 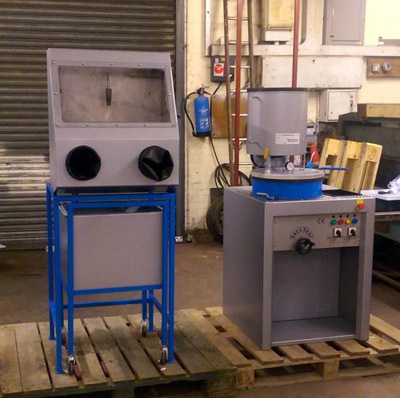 Mike made this choice of machinery and supplier, due to his past good experience with their equipment. In particular because of the high quality casting results from the Neutec JzP Autocast vacuum casting machine he previously used at the old Ortak company, which he believes is the best casting machine for silver and gold. And also, because of the excellent reliability of Robotech’s (Stoke-on-Trent manufactured) Vacuvest vacuum mixers, burnout furnaces and devesting machine. He also greatly values the high level of engineering service support offered for all equipment being supplied. Neutec JzP Autocast Electric Vacuum casting machine under test before despatch. The casting shop equipment will form the core of Ortak’s production facility. 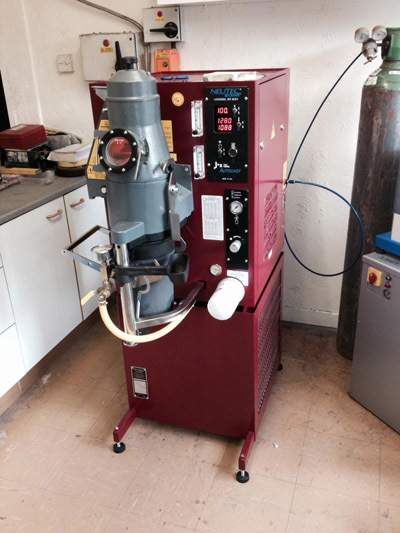 Ortak have also added a high quality Avalon mass finishing machine for polishing and for jewellery repair work, they have bought a Neutec Studio Plus 100J laser. The whole package of equipment will be installed and commissioned by Hewitt-Robotech JV during January 2015, and be serviced by them in the years to come. Most of this equipment including a Neutec JzP Autocast vacuum casting machine, Avalon equipment, and Neutec Pulsepoint and Studio lasers, will be on show at the NEC Spring fair (1-5th February 2015) on their stand, T61 in hall 17). They look forward to seeing everyone at the show. If you are unable to visit the show, please contact Chris Hewitt on 01630 698714, or 07767 822198, or email him at: chris@hewitt-impex.co.uk for further information.